Woof! FoxiBelle is a long-haired chihuahua so we are never without lots of dog-related charms in our inventory! 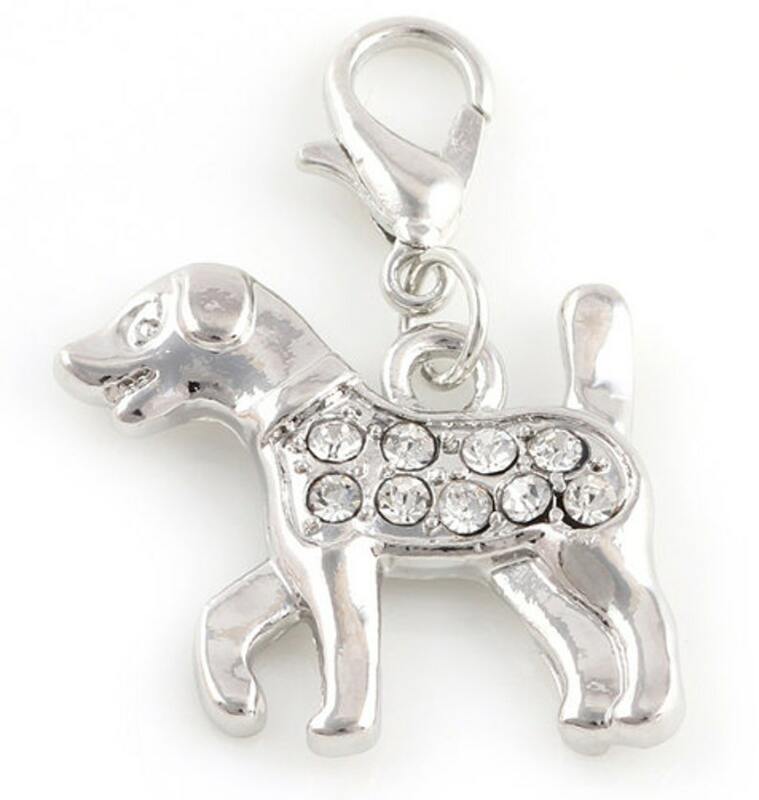 This cute little pointer puppy is sparkling and super cute. Design your own charm bracelet, necklace or ankle bracelet! This charm comes ready-to-wear with a 12mm lobster clasp attached (unless you choose "No Lobster Clasp" when you put it in your cart). All you have to do is clip it on to your favorite chain! EXCELLENT DETAILS, great seller, free gift-thank you, fast delivery-PERFECT! Thank you again. BEAUTIFUL DETAILS, quality seller, very generous, fast delivery-PERFECT AGAIN! Thank you.